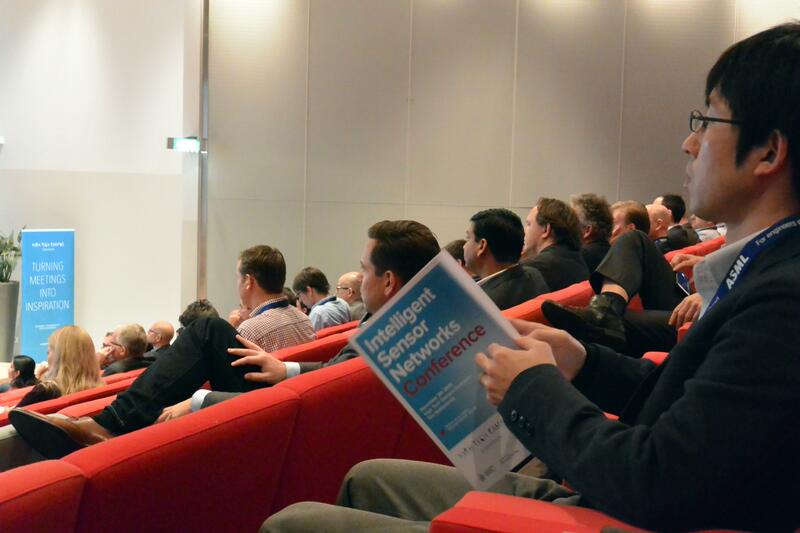 The 7th edition of the Intelligent Sensor Networks conference took place on November 15, 2016, at High Tech Campus Eindhoven, The Netherlands. The conference was successful, attracting over 100 international delegates, and provided great intellectual and social interaction for the participants. Brilliant minds and internationally renowned specialists gathered at High Tech Campus to talk about the real essentials for our boundless future. After that, Rob Jansen from TNO explained how to make sensors smaller and faster, while Eisse Jan Drewes, R&D Technology Manager, AWL-Techniek B.V., talked about ” Benefits of intelligent production equipment demonstrated in I-RAMP³ . After lunch, special parallel sessions dedicated to Smart Industry, Smart Infrastructure and Smart Logistics brought together speakers from Green IT Amsterdam, Semiotic Labs, Beanair, Senseye, Royal HaskoningDHV, Ahrma, Beltech, Berenschot, Chess Wise, Kubrickology, Flanders Make, IJssel Technologie and LSEC-Leaders In Security. Condition Based Maintenance, Wireless Sensor Networks for Structural Health Monitoring, The Future of Diagnostic Engineers, Predictive Maintenance were only a few of the topics in focus during these sessions. More information about the program of the 2016 edition can be found here. Besides the conference, the event also included an exhibition, where TNO, Techwave, FactoryLab and EPIC were present. The attendees can download the presentations here.